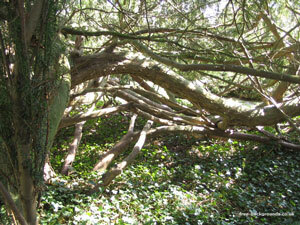 On a lovely spring afternoon I took this photo in a patch of ivy under a sprawling tree. The sun was shining brightly, but under the tree the leaves and branches gave a patchy effect to the light. I changed the white balance on the camera to emphasise the warmth of the light - you can really see the golden glow the sun has produced. 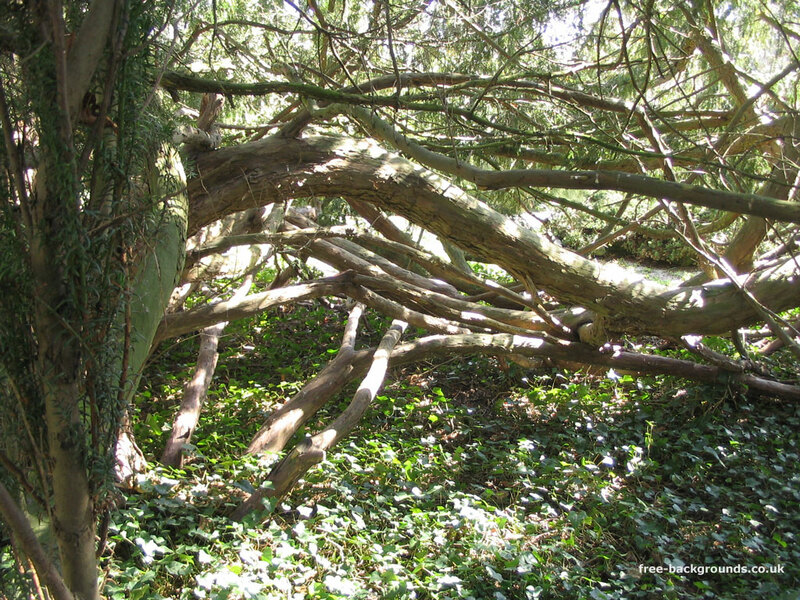 The tree's branches created a tent-like canopy, protecting the ivy below from the worst of the weather.